Fabric 3-Ring Binder Album 12"X12"
Fabric 3-Ring Binder Album 12"X12" - PIONEER-Fabric 3-Ring Binder Album. 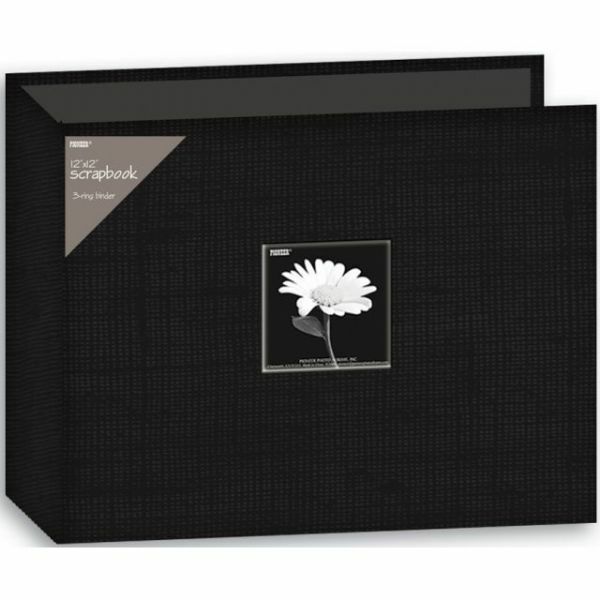 These fabulous D-ring albums feature a sleek design, quality and a timeless look for any scrapbook project. This package contains one archival, photo safe, acid, lignin and PVC free D-ring fabric covered 12in album with a 3-5/8x3-5/8in photo window and a clear vinyl cover for protection. Uses RMW5 and RMB5 page protectors (not included). Album measures 12-3/4x15-1/2x3in. Imported.